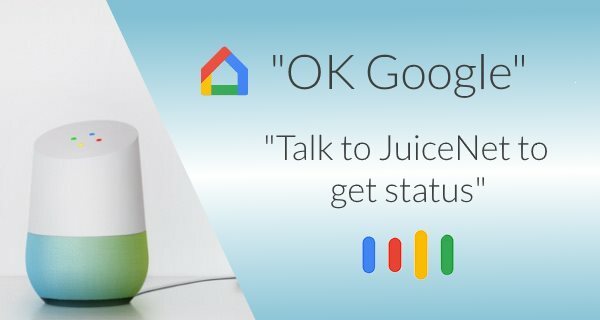 Google home is integrated with JuiceNet. Please see here for setup instructions for Google home JuiceBox integration. JuiceNet also supports Amazon Alexa.